When we put away the motorcycle riding in about 1980 to raise our family we always planned to return after the kids were raised (AK – after kids). 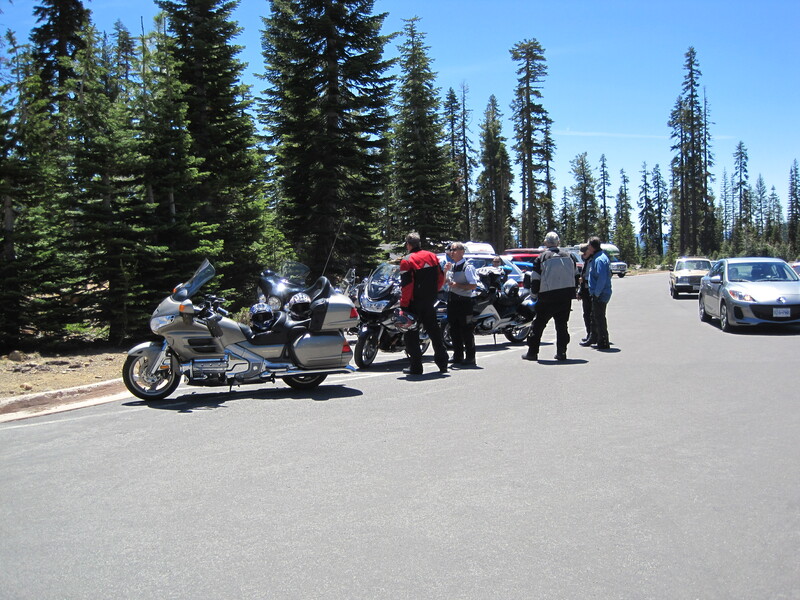 We had always assumed that we would return with a Goldwing. When the time came to purchase another bike and return to riding (in 1999) after looking at the available Goldwings we decided that they were just too bulky and didn’t handle the way we wanted – we wanted something a little more sporty. 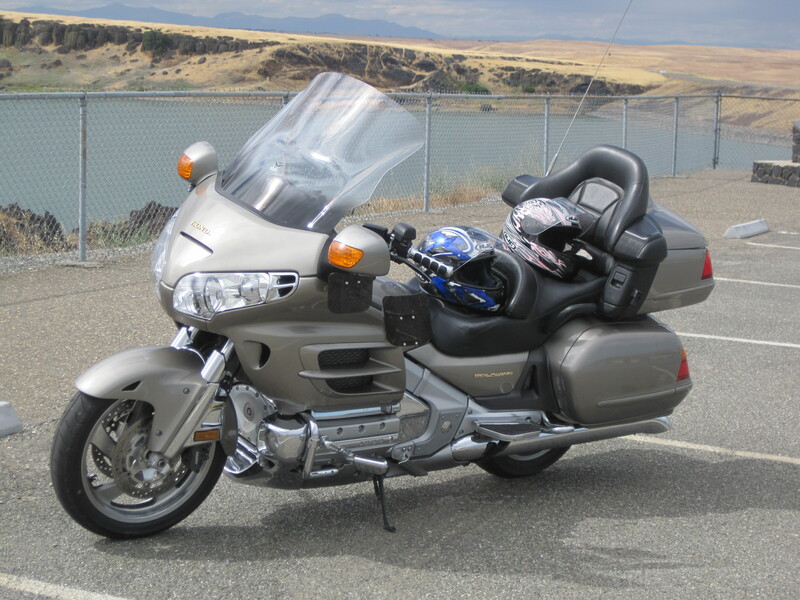 While we enjoyed several sport-touring/adventure bikesHonda had upgraded the Goldwing in 2001 with a bigger engine and a more sporting frame, etc. Since then we had it in the back of our mind that we would upgrade to a Goldwing but they were just too expensive. Recently I started to watch the prices for used Goldwings and lo and behold they were actually affordable. 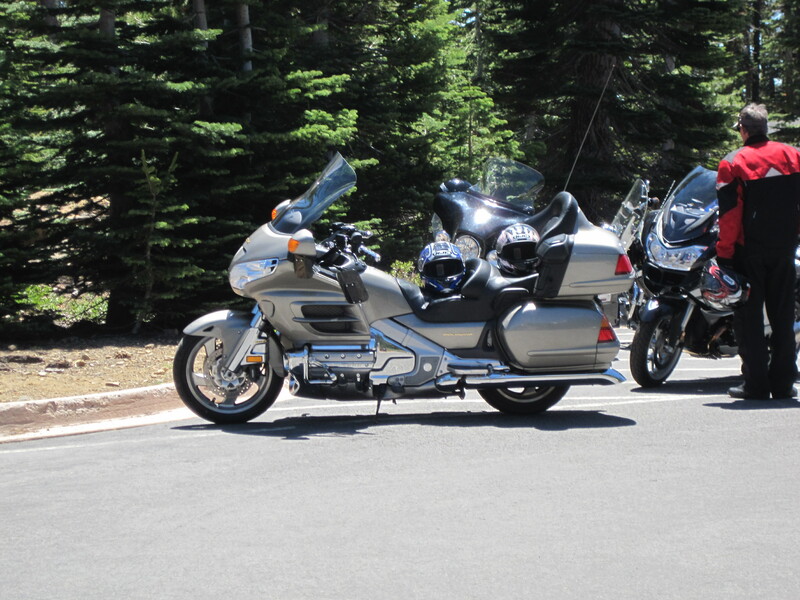 In June we pulled the trigger and bought a clean 2002 Goldwing from a dealership in Sacramento. 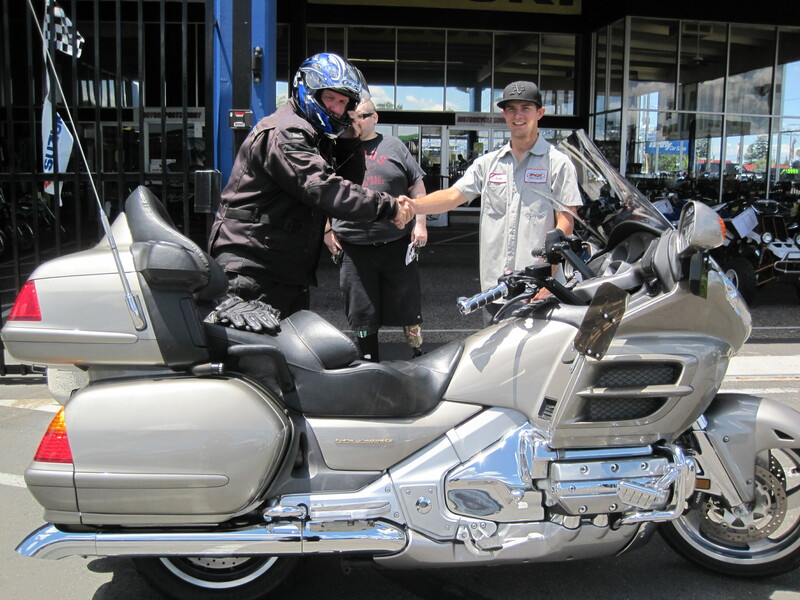 We are looking forward to our new era in motorcycling with the Goldwing. There is something so nice about actually being comfortable when riding, isn’t there?